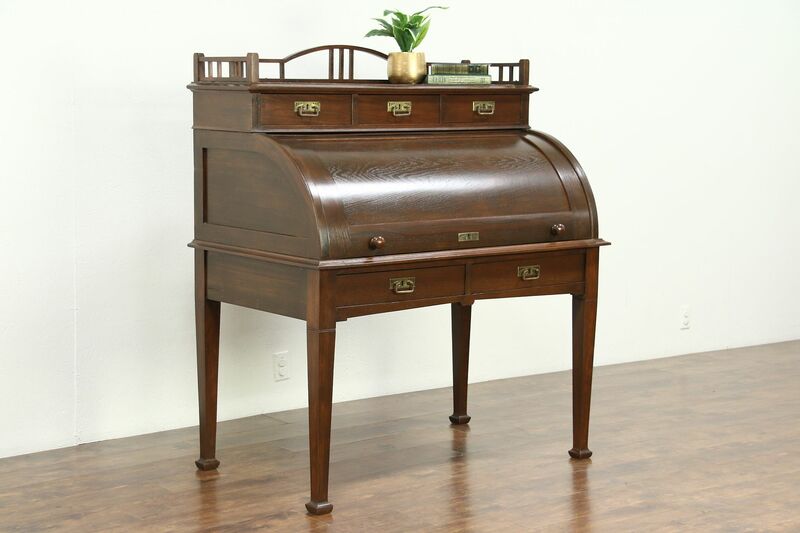 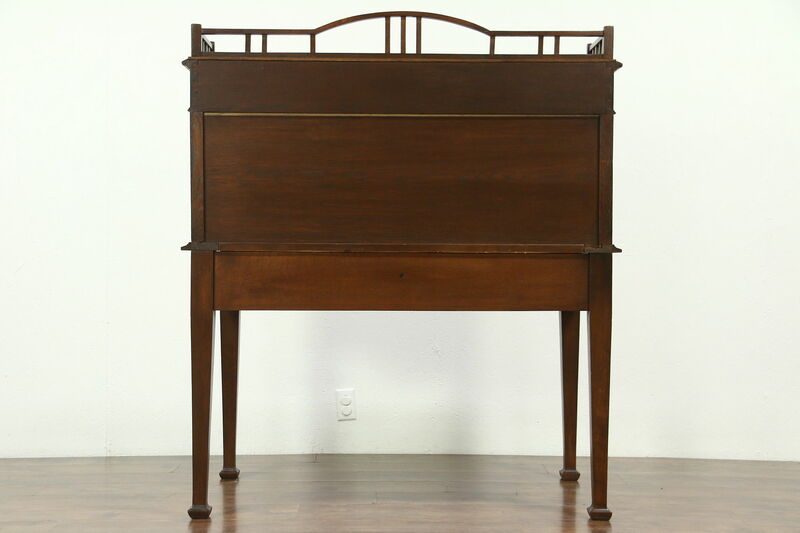 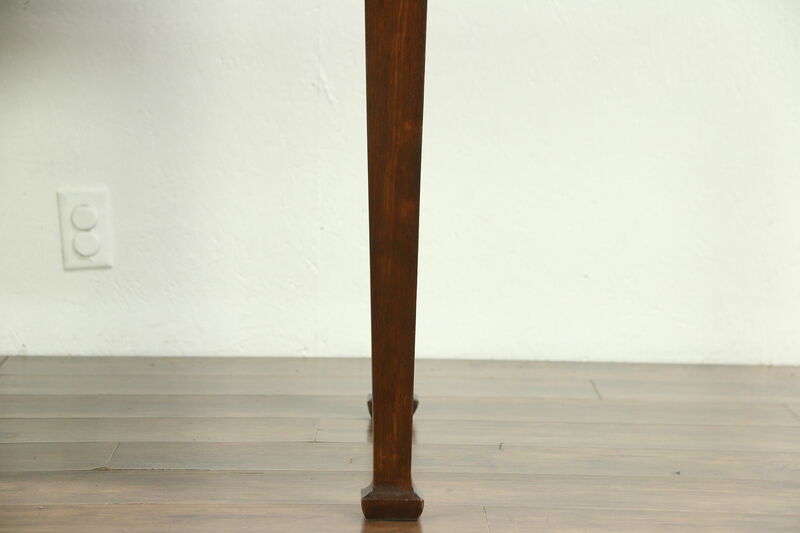 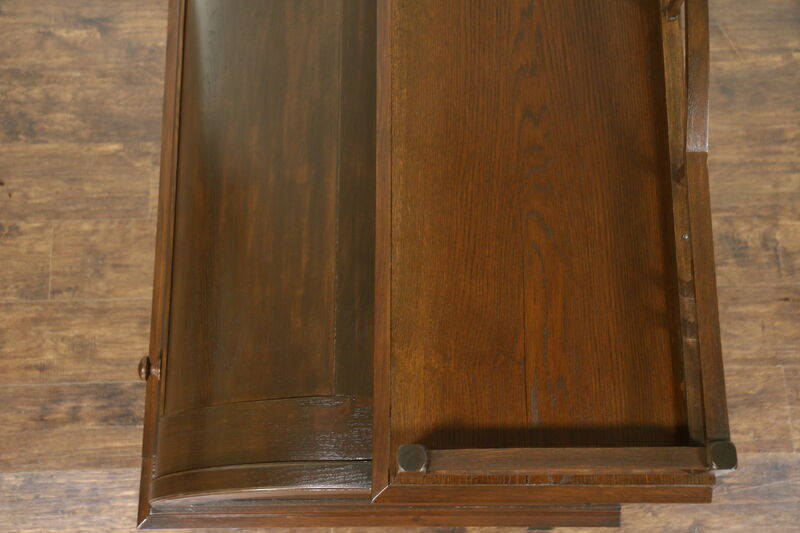 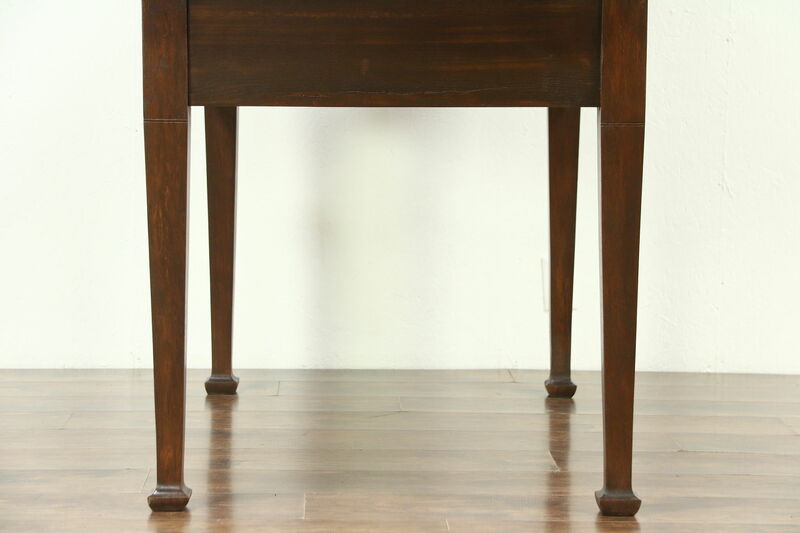 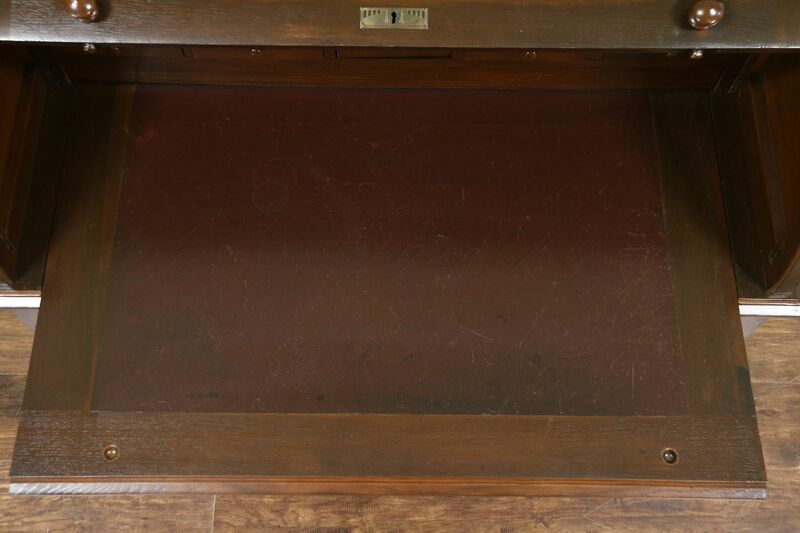 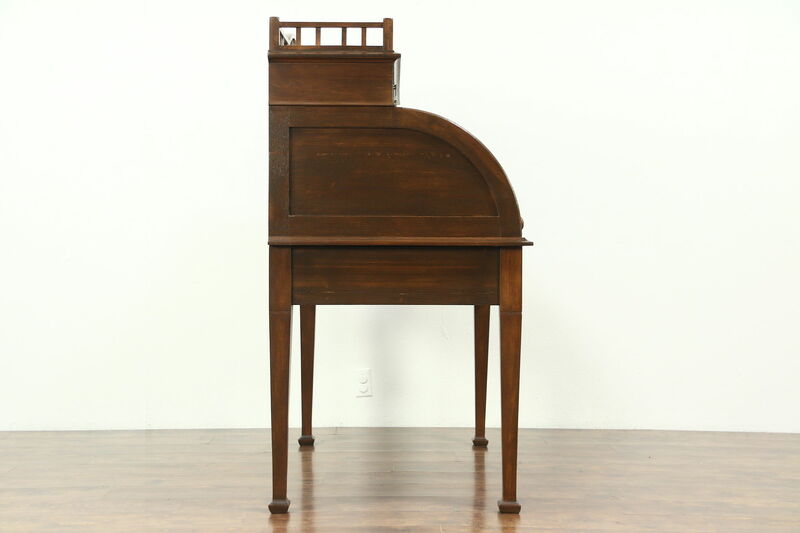 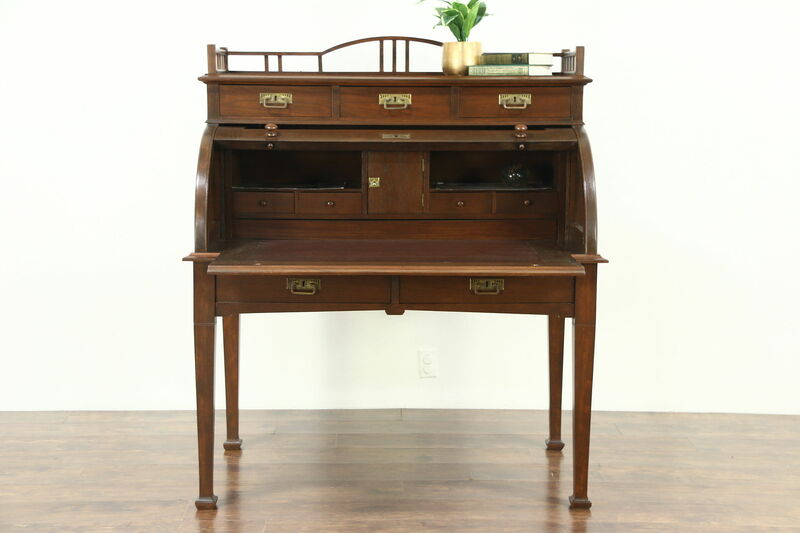 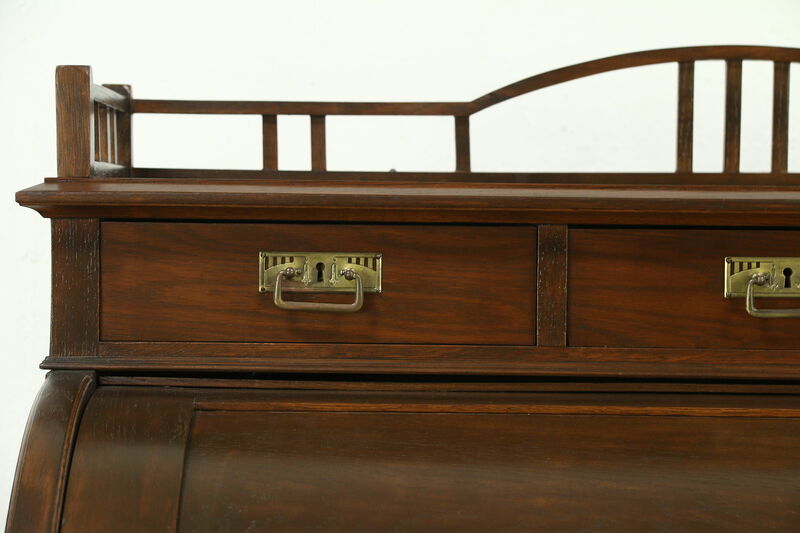 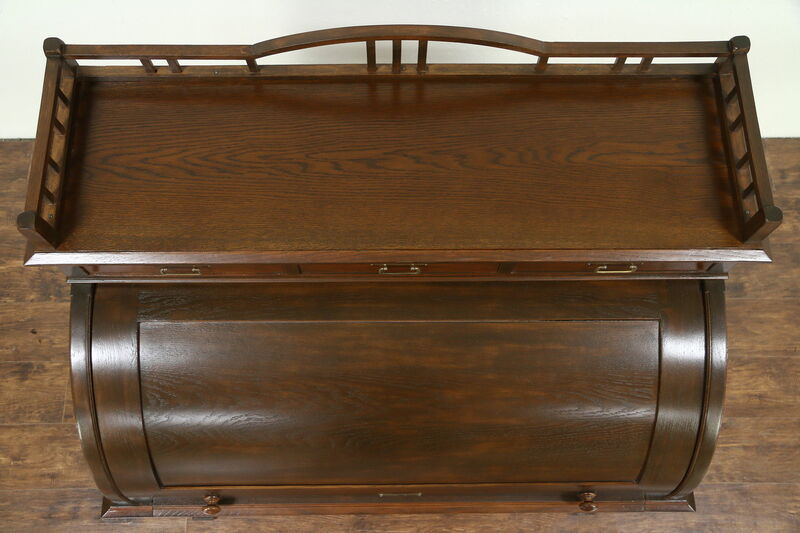 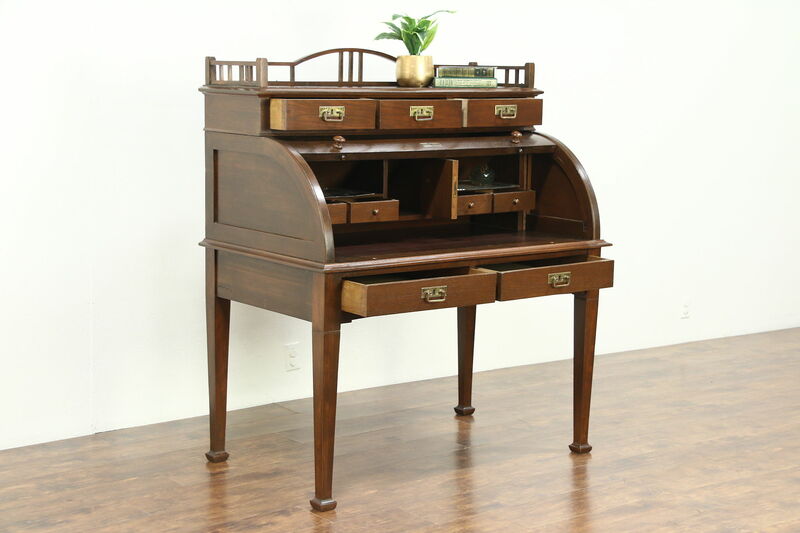 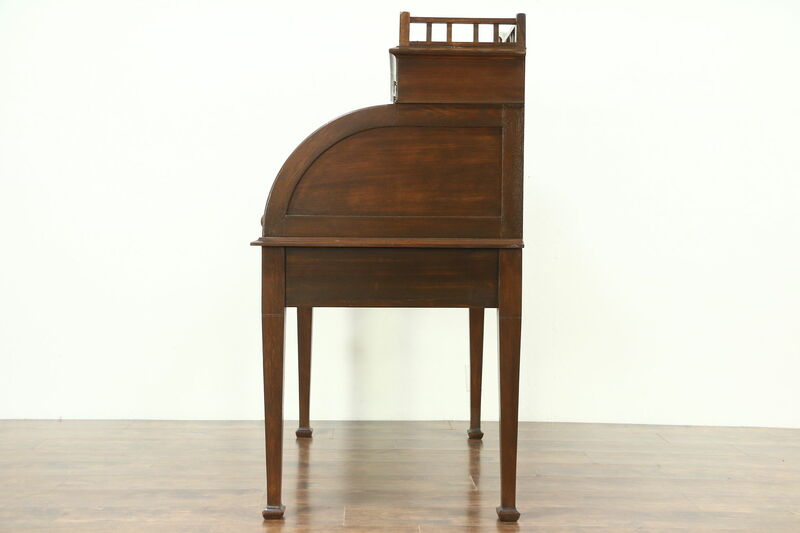 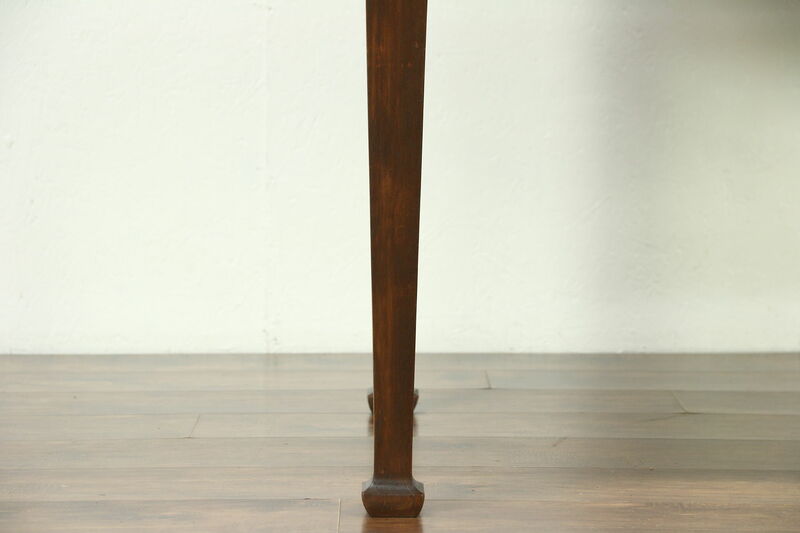 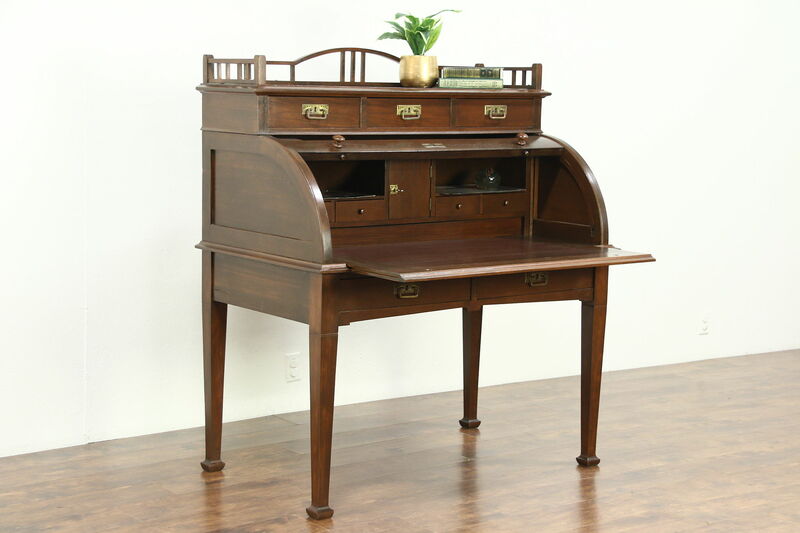 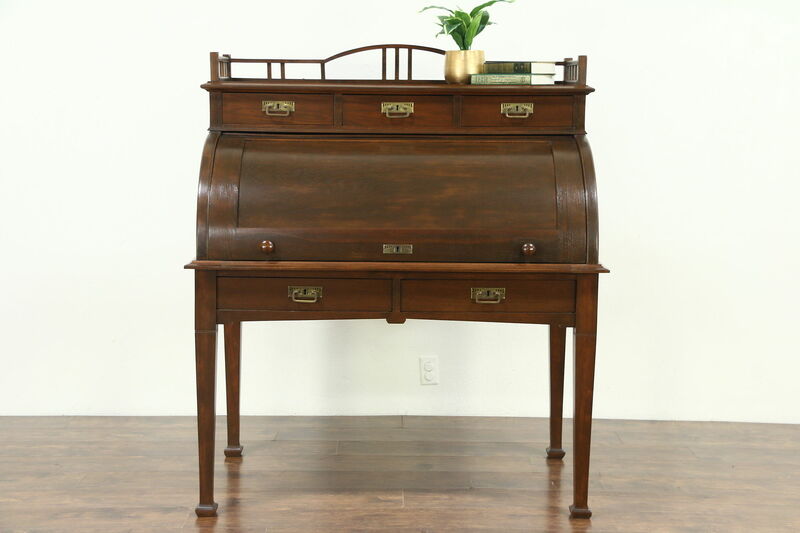 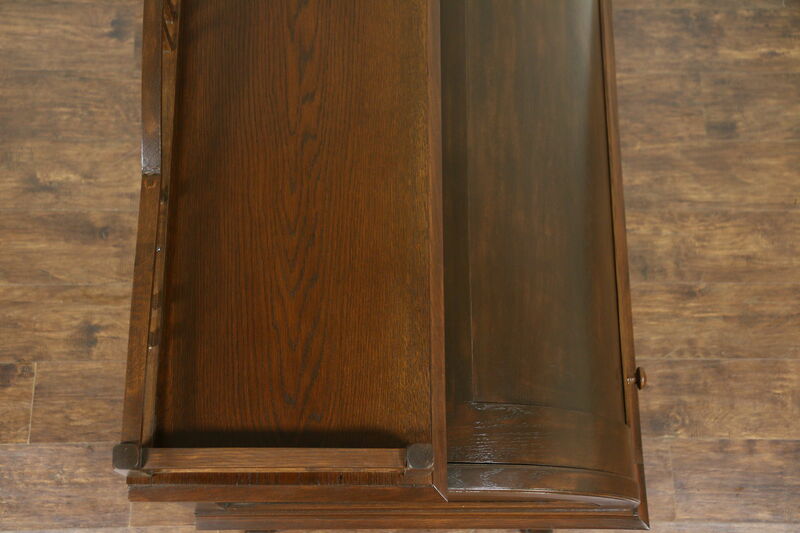 Expertly hand crafted in Germany about 1900, this cylinder rolltop desk is solid fine grained oak. 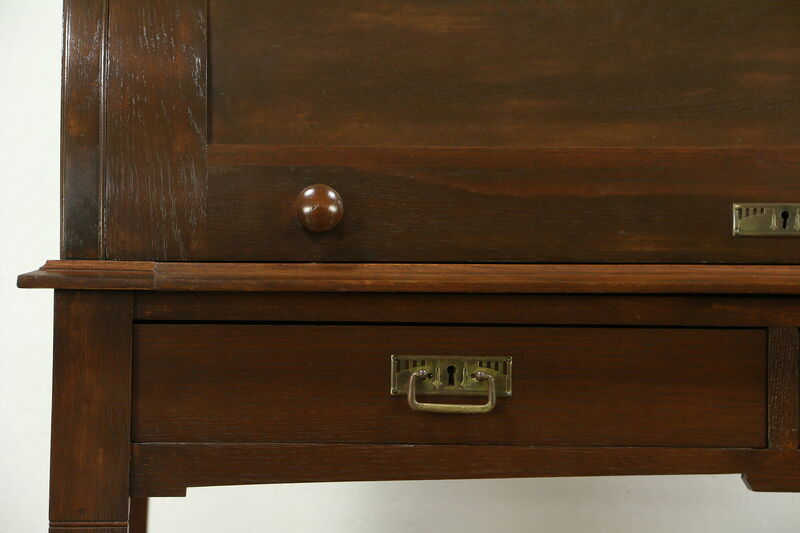 The restored finish is in very fine condition preserving some mars and shrinkage separations, see photos. 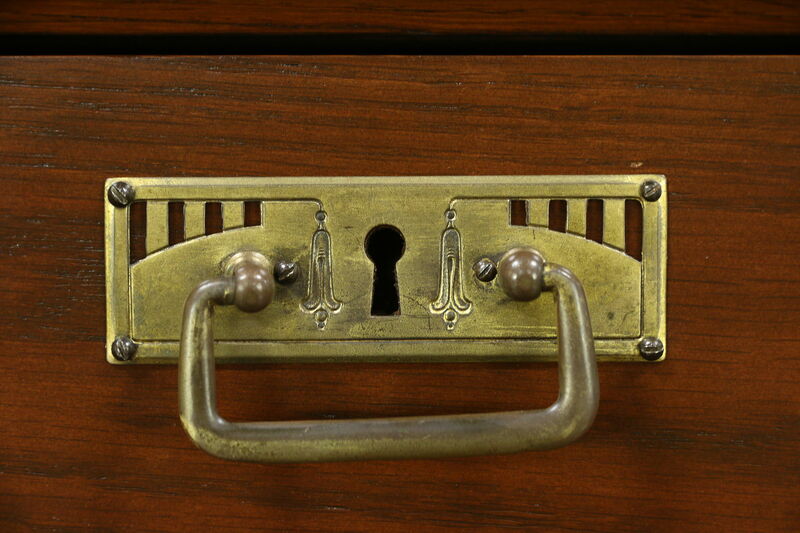 Embossed brass hardware is original. 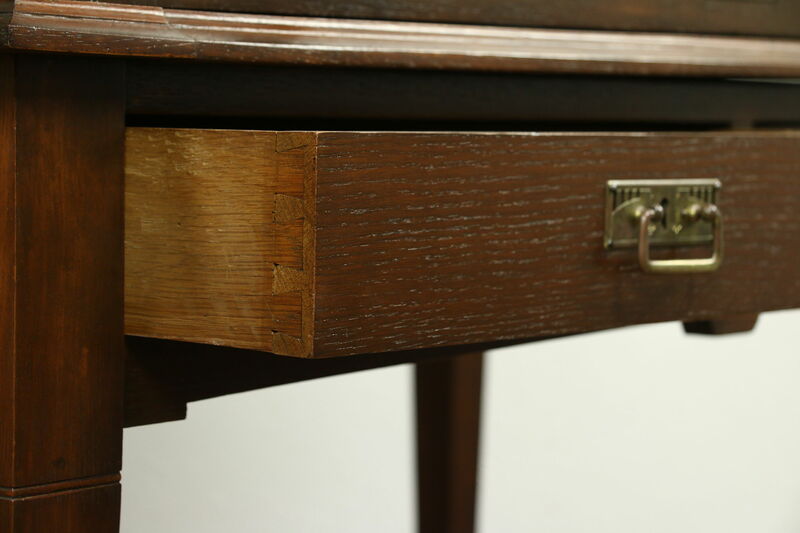 Drawers have hand cut dovetail joints and chamfered bottoms. 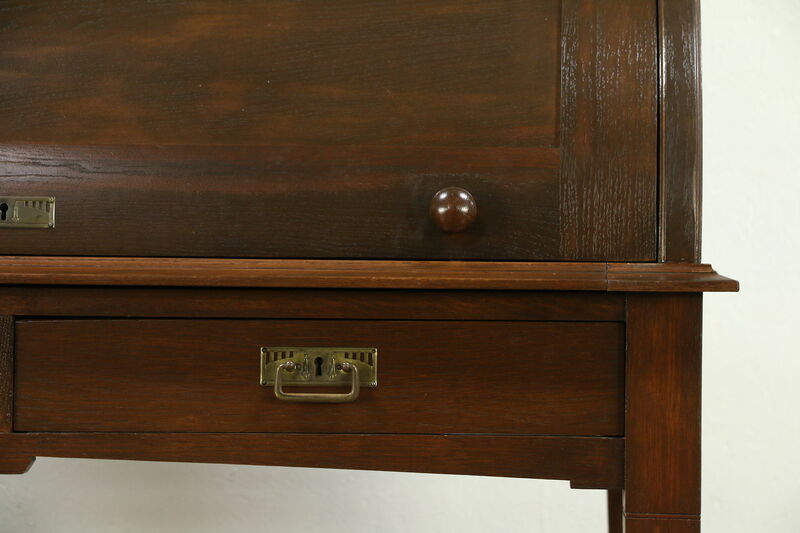 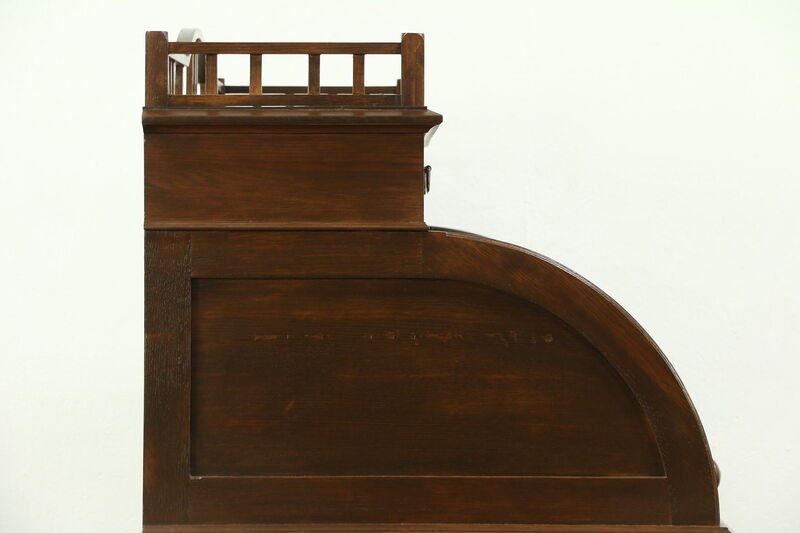 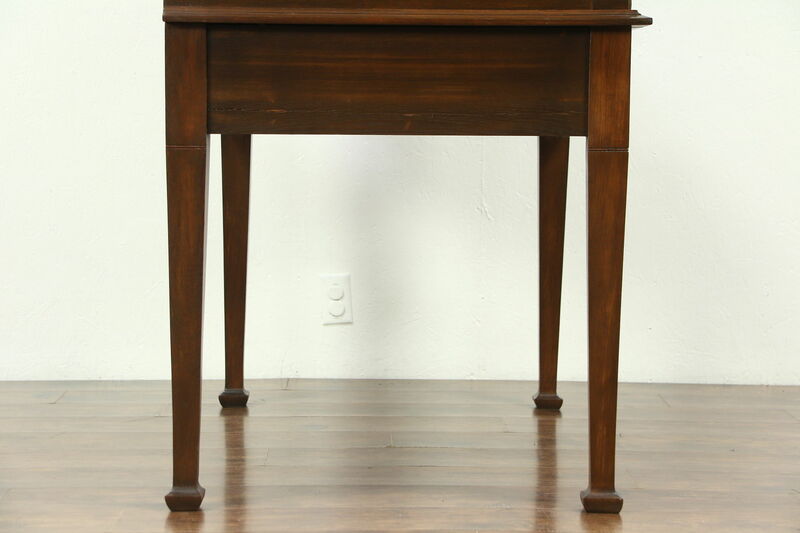 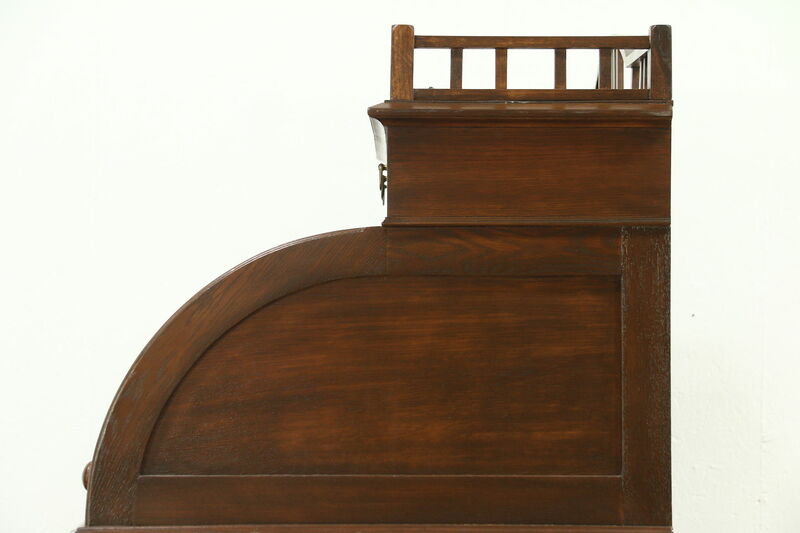 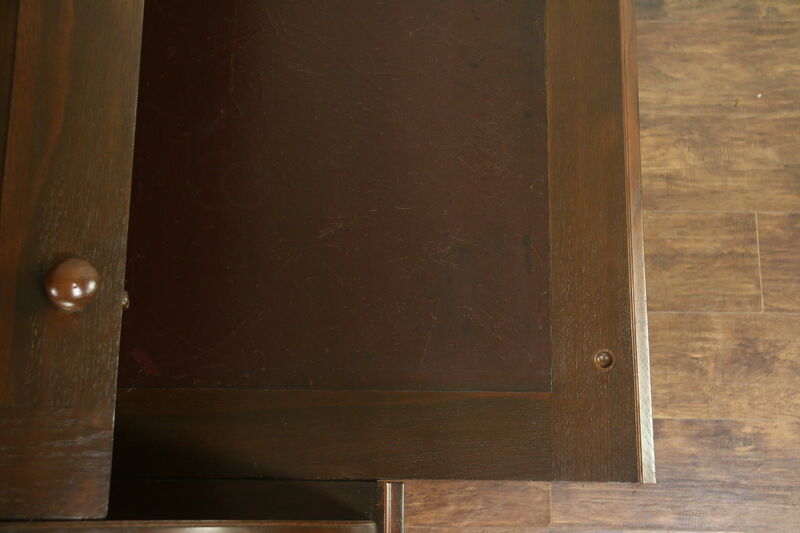 The writing surface has a few ink stains and pulls forward on this antique furniture from Europe. 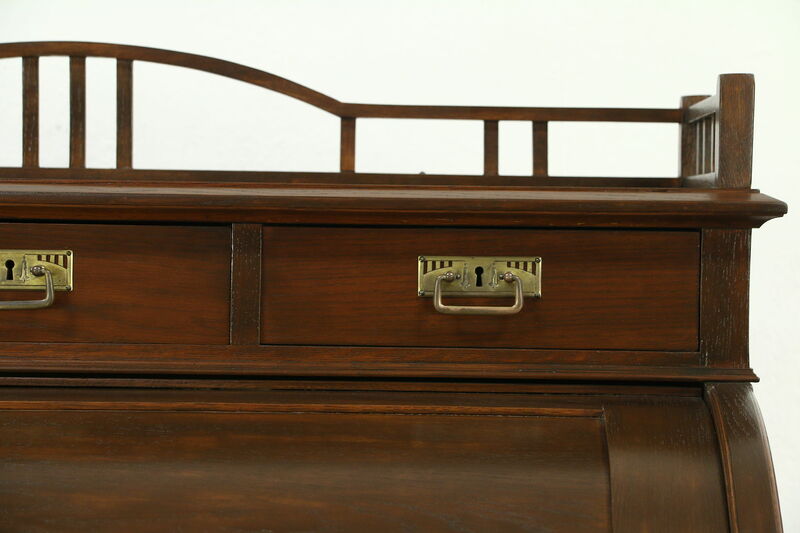 There is a locking compartment inside the barrel or cylinder roll. 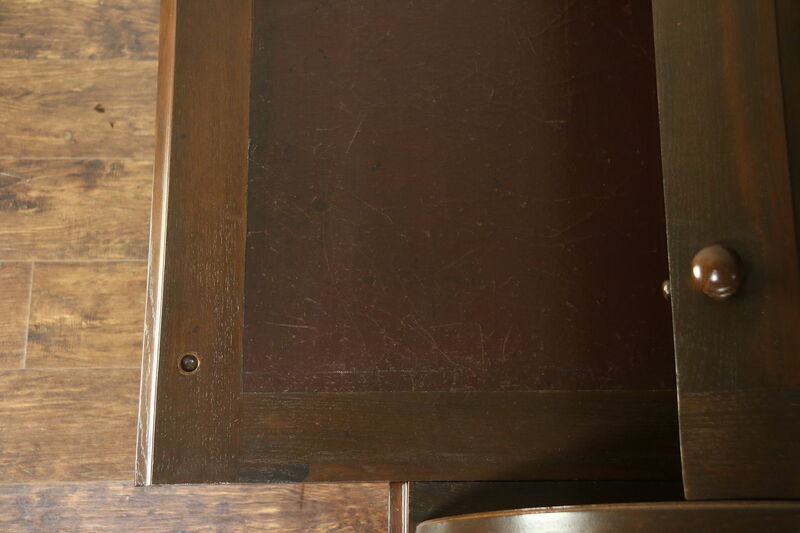 Measurements are 49 1/2" wide, 30" deep, 57" tall and the desktop is 31" high.